Our facility employs many members who work in conjunction with our 13 physicians. We have a vascular technician and two echo technicians who work with the physicians to provide these services. Patients travel from locations throughout the Tri-state area to consult and receive treatment from our expert staff in Internal Medicine, Cardiology, and Gastroenterology. 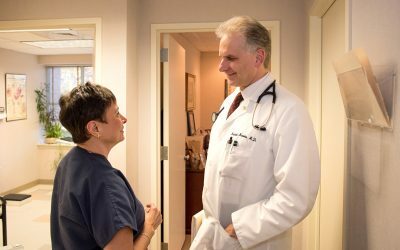 Thanks to the dedicated service and expertise of our medical staff, Mount Sinai Manhasset Medical Associates is able to offer some of the most advanced medical treatments available. Vaccinations are especially important and must be up-to-date in order to be effective. 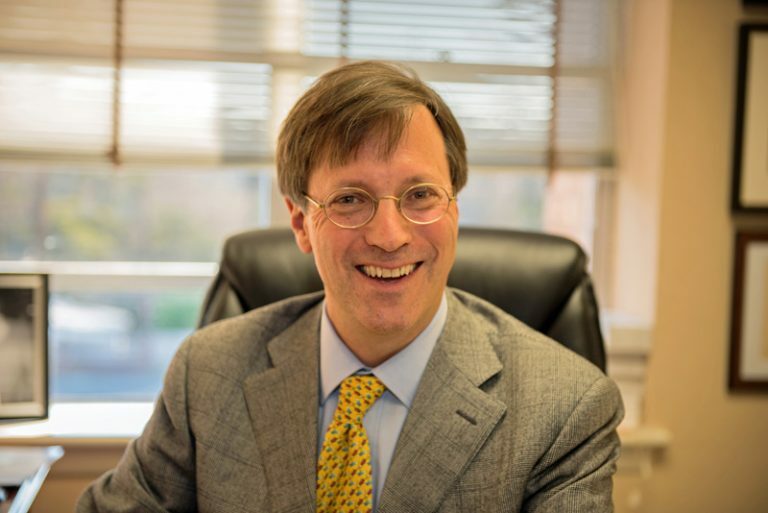 At Mount Sinai Manhasset Medical Associates, we offer the latest vaccinations to our patients. Please call us to obtain more information about our vaccination schedule. We can set up an appointment that is convenient for you. 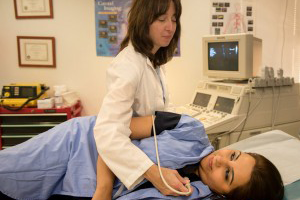 Technician Tara Spellman-Governale performs an Echocardiogram on a patient.